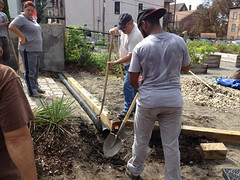 The community of Lawrence is beginning to re-imagine itself with a bright green future. The historic mills and buildings along Lawrence’s waterfront and other sites across the city are being renovated and transformed, turned into new space for businesses to grow and people to live. The key to developing this bright green future for Lawrence is to develop a workforce with the skills needed to address the environmental challenges that Lawrence faces. 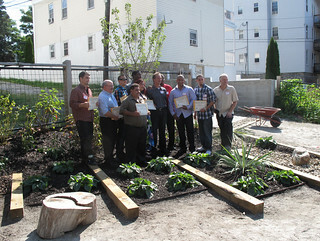 Groundwork Lawrence, in partnership with the Merrimack Valley Workforce Investment Board turned these environmental challenges into opportunities. 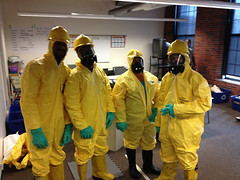 The Environmental Technical Training Program provides the critical skills, awareness and certifications necessary for participants to gain employment in the fields of Brownfields Remediation and Hazardous Materials Handling, Storm Water Management, and Asbestos Initial Worker, and OSHA HAZWOPER.